Dr. David Martin received his medical degree from the Pennsylvania State University School of Medicine in Hershey, Pennsylvania. He completed his internal medicine residency at The University of Rochester Associated Hospitals in Rochester, New York; and went on to complete a rheumatology fellowship with ... Read More the University of California in Irvine, California. 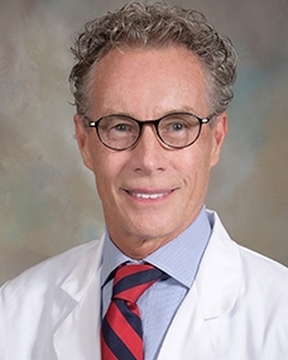 Dr. Martin is board-certified in both rheumatology and internal medicine. Dr. Martin has special interests in rheumatoid arthritis, and helping his patients improve their daily activities and functional capacity. He specializes in the diagnosis and treatment of rheumatism, arthritis, and other disorders of the joints, muscles, and ligaments.